Just to keep this above the board - the image above is not a true representation of the inside of our business. Might be fun if it was, but alas not. As the picture would suggest we run a shop. 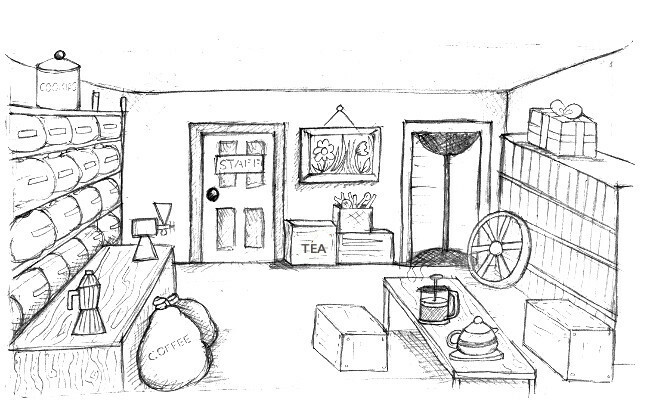 Of course the real world shop looks nothing like this. However this is cyberspace where nothing is as it seems and web sites are designed to impress. Right now this site is in the middle of a rebuild so if you can't find something use the contact form and ask. Hopefully we've listed most of the teas and coffees we supply - to follow (soon - well soonish) will be the herbal, infusions and equipment. Eventually you will be able spend money here, in the meantime why not come in and pay a visit. To make our website work cookies are used to manage authentication, navigation, and other functions. Do you agree that we can place these types of cookies on your device? Click here if you change your mind about accepting cookies.